Those days (and sometimes weeks!) before you leave for an overseas golf holiday can be a bit frantic. So many things to think of. Tidying up loose ends, getting ready, organising everything at home, double checking the holiday plans and packing for an overseas golf holiday. 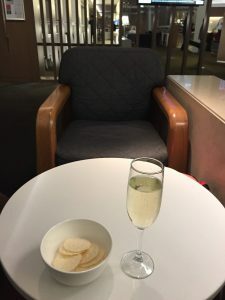 Once you make it to the airport, check in, pass through security and the land of duty free shopping nothing sets the tone like a glass of champagne. It’s a rite of passage really. The perfect way to draw a line in the sand; You are now officially on holiday. To make that first sip all the more satisfying, you need to know that your bag is fully packed with everything that you need to make the most of your golf holiday. 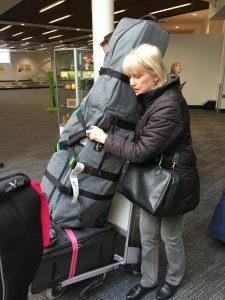 To help you along that path, and ditch that nagging “I’ve forgotten something” feeling, here is a list of everything we need when packing for an overseas golf holiday (in addition to your clothes and toiletries). We all have other individual bits and pieces we need to take with us to ensure we’re comfortable while travelling, but when packing for an overseas golf holiday, this list is a good place to start. Don’t forget to also check the weights of your bags before you get to the airport. A nasty excess luggage bill at check in is not a fun way to start a trip (or end one either!). Feel free to return to this blog each time you travel, and to forward on this link to friends. Are there any other essentials that you think we’ve forgotten? Let us know! Like this blog? Sign up to our newsletter!